New customers only. Deposit £10 min and claim in ‘my offers’ 1×100% mobile in-play profit boost. Max stake £10. Max extra winnings £100. Valid for 30 days. Skrill/Neteller deposits do not qualify. A few more minor markets maybe? You can enjoy a profit boost at LeoVegas Sports – in fact you can enjoy TWO profits boosts that will double your odds on two bets once you’ve made your first deposit. 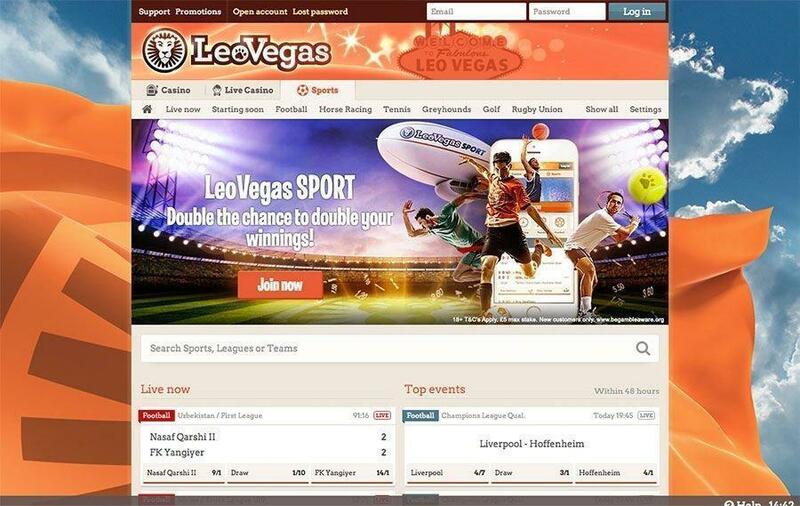 All you need to do to receive your profits boosts is to sign up with LeoVegas Sports and deposit a minimum of £10. Your two profit boosts will then appear on your account, and can be used for any bet you want. Note that your two profit-boosted bets cannot be used on the same event, and you cannot split them across multiple wagers. The maximum bet you can ‘profit boost’ in this way is £5. If your bet comes in, then any profits you make are doubled! Be aware that you will not receive a profit boost if your first deposit is made via Skrill or Neteller. Ir’s worth mentioning the casino bonus here too – this is a £1,500 offer split over your first four deposits, with two hundred free spins thrown in as well. Take a trip to the site to learn more. The LeoVegas casino site has earned itself a deserved reputation for being neat, clean and effective, and this is exactly the same design that greets you when you enter the LeoVegas Sport site – in fact the sport section is integrated into the main LeoVegas site. In some ways, this minimalist approach doesn’t work well for the sports book. Land on the page and you get very few markets placed up front – just current football games and the next race meeting, which means there can be less than half-a-dozen options. All the other markets are easy to reach though, but it does take a little bit of navigation. 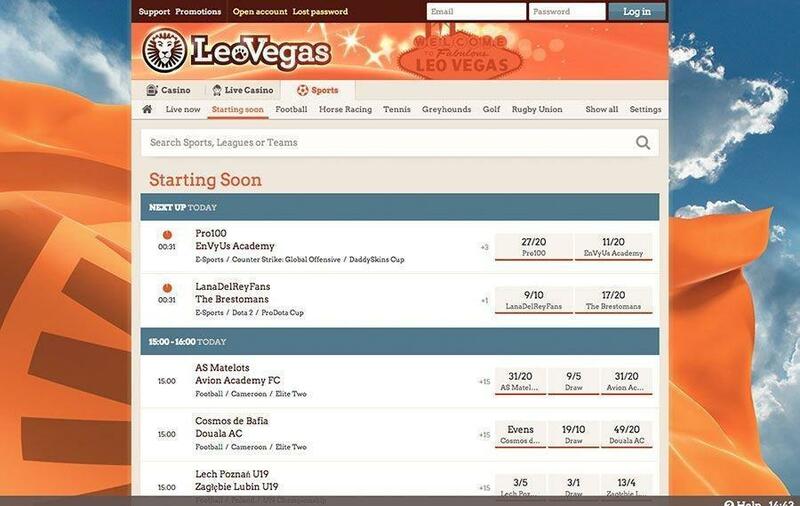 We think it would be better if more markets were placed on the landing page, and it’s a policy that most sports betting sites seem to agree with. 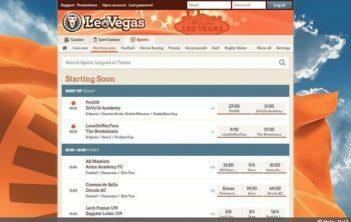 LeoVegas accepts a number of payment options. The most convenient are Visa and MasterCard credit and debit cards. 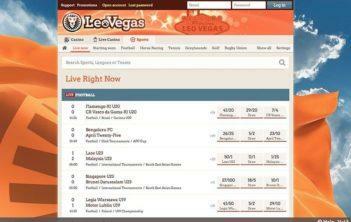 The site will also allow you to use Skrill, Neteller and Paysafecard. Remember that if you use Skrill or Neteller to make your initial deposit, you are not eligible for the £30 free bet bonus. All deposits are processed immediately, and no fees are involved. The minimum you can make as a deposit is £5. The minimum accepted withdrawal is £10, and again, no fees are involved. You can withdraw to Visa, Skrill or Neteller. Proof of ID may be needed for larger deposits, and most withdrawals will be completed within 24 hours (eWallets) or five days (Visa). LeoVegas may ‘roar’ when it comes to casino action, but it’s still something of a kitten when it comes to its sports book. This is understandable, as it was only ‘born’ in late spring 2016. The site has plenty of markets, but the site design needs a little bit of a re-think, and more financial options are required. More promotions please too! In short, LeoVegas Sport has a way to go before it can be regarded as being ‘king of the sports books’.